Welcome back! 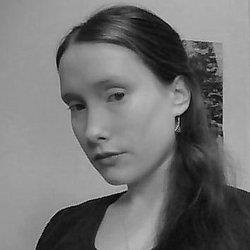 For this week’s author interview, I’d like to introduce Shannon Connor Winward. Shannon is a widely published author of poems and prose, with work appearing in such publications as Strange Horizons, The Pedestal Magazine, and Flash Fiction Online, among other venues. Recently, Shannon and I discussed fairy tales, writing rituals, and her upcoming plans as an author. I was a very creative, weird, dramatic kid. I’ve always had an overactive imagination and a passion for the macabre. I started to focus on poetry and stories when I was about eight; by ten I’d decided to be the next Stephen King. King will always have a special place in my heart (The Stand changed my world). I also love Gregory Maguire, Neil Gaiman (esp. Anasi Boys), Juliet Marillier, George R. R. Martin, Diana Gabaldon, Anne Lamott, The Mists of Avalon by Marion Zimmer Bradley, The Time Traveler’s Wife by Audrey Niffenegger, The Lovely Bones by Alice Sebold, Kissing the Witch by Emma Donoghue. I don’t get to read novels as much as I used to because I have a toddler and an Aspie vying for my attention, but I’ve started Jonathan Strange and Mr. Norrell by Susanna Clarke, and it’s wonderful. I am a big fan of your poem, “Snow Waiting,” that appeared last year in Gingerbread House Lit. What was the inspiration for this piece, and do you expect to do any more fairy tale retellings in your future work? Thanks! Actually I wrote “Snow Waiting” for a magazine I like that was holding a fairy-tale themed-contest. I don’t know what made me think of Snow as a foster kid, but I like twisting our expectations of fairy tales, gender roles. Snow White is exploitative. It’s all about Snow’s looks, what people want from her. She’s just a pretty victim. My Snow is also tragic, but I tried to give her a little edge. She’s probably going to get her heart ripped out, but I like to think she’ll survive. Obviously “Snow Waiting” didn’t get picked for the contest, and I shopped her around for a while before finding a home with Gingerbread House. Sometimes that happens, a piece gets rejected until finally someone says “YES WE LOVE IT” and it turns out to be the perfect match. I was really happy with the reception “Snow” received there. The artwork they chose for her is just stunning. I went through a spell where I wrote quite a few fairy tale revisions (I was in love with a librarian who was in love with fairy tales). My poems “Bride Gift” and “Fallen” are other examples. It’s not my primary focus but, yes, I expect I’ll write more. It’s a really fun genre to explore. A lot of my work is also myth- and folklore-inspired. Is there a certain genre that’s your favorite? My tastes are pretty eclectic. I like stories laced with fantasy (high or low), magical realism, genre-bending, interstitial stuff. Mythpunk. Character-driven sci-fi. I like creepy and weird but not (necessarily) grit and gore. Or not *just* grit and gore. I don’t love genre for its own sake. I’m interested in the psychology of characters, the human condition, stories with heart. I like books that leave you weeping at the end, like you’ve just found (or remembered?) another piece to the puzzle of life, the universe, and everything. I prefer stories that make you better for having read them. That’s the kind of story I hope to write, too. Do you have any specific writing rituals? And is your approach different depending on whether you’re crafting prose or poetry? I need lots and lots of head space to write. I need my kids to be quiet (preferably sleeping or out of the house) and nobody can talk to me. I need a cup of coffee or a cigarette (if I’m smoking that year), something to channel the energy through my hands, because otherwise my thoughts tend to get log jammed. I find lighting a candle helps, too. The only difference in the process of writing poetry or prose is that poetry is faster. I can work on a poem or two before I get interrupted and have to change a diaper or make a phone call. Fiction requires that I maintain the mindset much longer; if I stop, I have to work very hard to find my way back in. So it can take me years, decades even, to be done with a short story, unless I enter a sort of manic state where I ignore everything and everyone until the project is done. Which happens. Thankfully, I have a very supportive (and long-suffering) spouse. My poem “Session,” which appeared in The Pedestal Magazine, is a definite favorite. It was my first professional poetry sale, and it’s sort of a signature piece about the anthropology of the psyche. It’s very representative of how I write and what interests me. For fiction: “Babycake”, which just came out in Gargoyle Magazine, was super fun to write. It foreshadowed the birth of my daughter, as I was pregnant when I wrote it and didn’t know it. My science fiction story, “Ghost-Writer”, was inspired by a book by scientist Jill Bolte Taylor, who suffered a debilitating stroke to her left brain hemisphere. That story has a lot of my heart in it. It was anthologized in Heiresses of Russ : The Year’s Best Lesbian Speculative Fiction 2015 (Lethe Press), which was a real honor. I’m also looking forward to “She Is”, my quirky take on the Orpheus and Eurydice myth, with the gods playing a table-top RPG in Hades’ basement. That’s coming out soon in Stupefying Stories. Where would you ideally like to see your writing career in five years? Well the last few years will be hard to beat. I’d really like to see my novel published. I’m still waiting to make that love match with the right press, but I think once I do and I’m able to hold that book in my hands, it will be a very meaningful milestone. I’m also working on a book-length collection of poetry and prose, a memoir about living with mood disorder and raising a child with mood disorder and autism. I hope to have that completed and published in five years and be travelling with it, reaching out to other families, advocating. The landscape for our kids can be pretty bleak. I’d like to commit to a second novel (I’ve got several in the running but I keep getting distracted). In general, I hope that in five years I’m still writing and making money and making a difference in my communities. Big thanks to Shannon Connor Winward for being part of this week’s author interview series! Find her online at her website! This entry was posted in Fiction, Interviews and tagged Gingerbread House Literary Magazine on April 27, 2016 by gwendolynkiste. 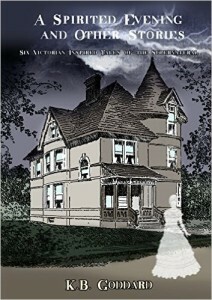 Earlier this month, my horror story, “Horseshoe,” made its debut in The Haunting of Lake Manor Hotel! This anthology, which features thirteen up-and-coming speculative fiction writers, is the first title released from Woodbridge Press, and I’m so thrilled and honored to be part of it! Working on The Haunting of Lake Manor Hotel has been an incredible experience. This project unites me with authors Scarlett R. Algee and Brooke Warra, both of whom I met through our publication and eventual work as slush pile readers at Sanitarium Magazine. And of course, the three of us also worked together on A Shadow of Autumn last fall, so in my mind, that makes us family. This is also the first time I’ve worked directly with author and editor Nathan Hystad. Nathan and I have been crossing paths for the last couple years, since we were both featured in Whispers from the Past: Fright and Fear way back in September 2014. So when he asked me to be involved in his first project as an editor, I most definitely jumped at the opportunity. My story, “Horseshoe,” started simply enough with the image of the horseshoe driveway. That was how Nathan described the entrance of the hotel in the shared world information all the authors received as we embarked on the project, and the image immediately caught my interest. There’s a bit of irony for me that the specter of horses looms large over my life—I live in a rural county in Pennsylvania that has been described as having more horses than people, and even the property where my husband and I live is a former horse farm, with fences and troughs and all the other horse abode trimmings. However, truth be told, I myself have only been on horseback once or twice. So I used these phantom-like horses to craft a tale about a tormented jockey who is trying to come to terms with her father’s death while coping with the very real ghosts that haunt her and Lake Manor Hotel. 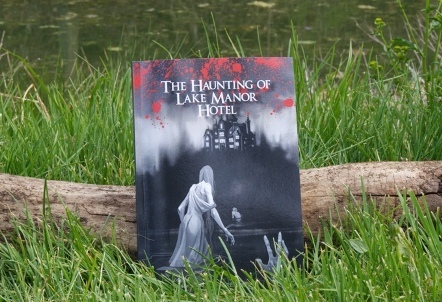 The twelve other stories in The Haunting of Lake Manor Hotel all take different aspects of the property and make the ethereal qualities their own. So if strange and apparitional locales intrigue you as much as they intrigue me, then Lake Manor Hotel might be a perfect stopover on your reading list. Just be sure to lock the door and leave on the light. This entry was posted in Book Promotion, Fiction on April 22, 2016 by gwendolynkiste. 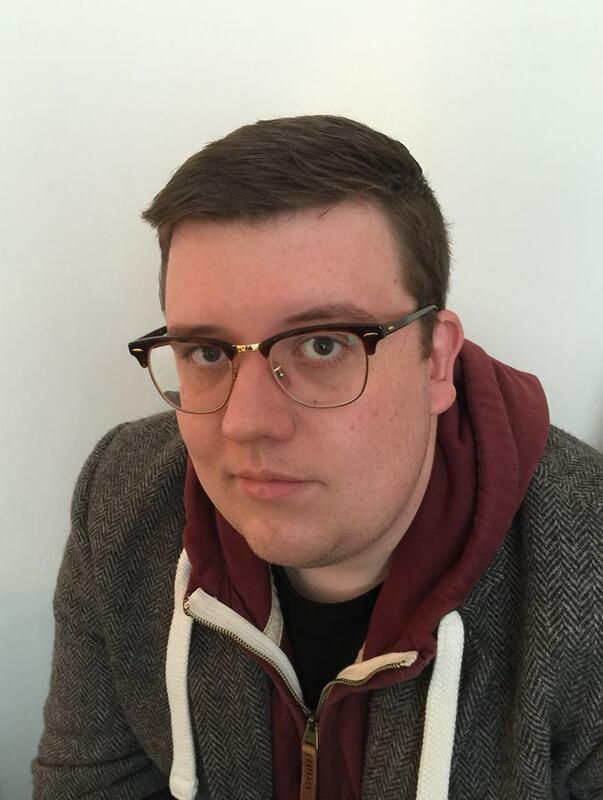 For this week’s author interview, I’m pleased to spotlight John Boden. 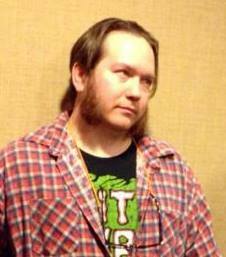 John is a dark fiction writer of many short stories, and he’s also a contributing editor at Shock Totem. His work has appeared in LampLight, Robbed of Sleep, and Once Upon an Apocalypse: 23 Twisted Fairy Tales, among others. Recently, John and I discussed his favorite authors (Bradbury! ), his tenure at Shock Totem, as well as writing fiction based in our shared home state of Pennsylvania. I have always wanted to be a writer, since first reading Ray Bradbury in school. Then I moved on to Stephen King. I actually sent him a story I wrote when I was maybe eleven. It was about a vampire Vacuum cleaner. I got a standardized postcard back with a little handwritten note on it that I always assumed/hope was from him. I wrote all through high school and what little college I made it through. I pretty much gave it up for twenty years and only really went back to it when we started Shock Totem. Some of my favorite authors would/could on a given day be: Agatha Christie, Louis L’Amour, Stephen King, Ray Bradbury, Charles Beaumont, William S. Burroughs, Shirley Jackson, Willa Cather, Harlan Ellison, Gahan Wilson, John Skipp, Robert R. McCammon, Robert Aickman, Stephen Graham Jones, Margaret St. Clair, Rod Serling, Jack Ketchum, James Newman, I could go on for days. 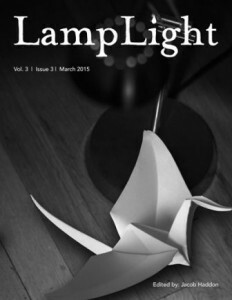 The first story of yours that I read was “Possessed by a Broken Window,” featured in LampLight, Volume 3, Issue 3. Without giving too much away, this multi-layered tale deals with grief, illness, and the oppressive atmospheres of hospitals. Although we’d never choose it, most of us can relate to these themes. What inspired this story, and were there any particular challenges you experienced during the writing process? I wish I could tell you some glorious anecdote here but I can’t. That story is one hundred percent true, every action in it and person is real and happened. I added a slight bit of the fantastical to make it fiction. It was one of the hardest stories I ever wrote. It was part of a long series of very sad things that I wrote after my father passed. It wasn’t quite that thought out. We just thought it would make an interesting presentation to package it as a children’s book. I’m actually still surprised at how well it’s been received as it is far from a linear story experience. As for my favorite Little Golden Book, probably The Saggy Baggy Elephant. In addition to your fiction writing, you’ve worked as a contributing editor at Shock Totem. How has the behind-the-scenes experience in the publishing world informed your work as an author? It has opened my eyes quite a bit. I’ve been reading all of my life and never really knew what it took to get those books from the author’s head into my eager hands. You know how if you’ve ever worked in retail, you’re like the most patient and nicest customer ever…because you understand the hell that is that side of the counter? Publishing is a very similar situation. It made me look at a lot of aspects that I never thought on before. Like me, you are a resident of Pennsylvania (hi, neighbor!). Does the gloomy weather, sickeningly bucolic hillsides, and complete lack of easy booze access often inspire your dark fiction? I’ve lived in Pennsylvania all of my life. I grew up in a tiny town called Orbisonia. It’s nestled in the mountains between Chambersburg and Huntingdon, if that helps anyone. It’s beautiful there. Booze never enticed me. I’m sort of allergic to alcohol so I don’t drink. I always find myself setting my work in my hometown, regardless of where I place it…it’s always Orby. What’s the best writing advice you’ve received? And do you always follow it? I don’t know that I’ve ever actively asked for advice. I mean, I’ve sent stories to fellow writers and asked their thoughts. But I know that John Skipp and others have told me in conversation that you need to write honest. I’m sure they’ve said it better. But it really is about that. I approach a story with the only goal being for it to come out of my head and onto the page with as little mutation as possible. The mutation usually comes in later. I start so much and finish so little. Heh. Projects: Michael Wehunt’s Greener Pastures collection is coming soon, I did some editing on that. It’s fantastic. Personally, I’ve been trying to land a home for my coming-of-age novella, Jedi Summer. I pulled a lot of reading favors from friends on that one and everyone seemed to dig it. There’s a collaborative thing I did with Mercedes Yardley called Loving The Girl With X’s For Eyes we’re trying to get out there. I have some stories coming out in various anthologies—Borderlands 6, Bumps in The Road and another one I can’t recall the name of right now. I’m nearly done with the Dominoes-style Haunted House thing and halfway through my novella-mayhaps-novel, Spungunion. There’s other stuff, too. Big thanks (and secret handshakes!) to John Boden for being part of this week’s author interview series! Find him online at his blog, and be sure to keep up with the great work he’s doing at Shock Totem. This entry was posted in Fiction, Interviews and tagged LampLight on April 20, 2016 by gwendolynkiste. Earlier this week, my dark fantasy story, “All the Red Apples Have Withered to Gray,” went live on the Shimmer website. That means it’s available for free to anyone and everyone, so head on over there and check it out! “All the Red Apples” is a fairy tale inversion, one that takes the poison apple of Snow White and extrapolates it into a world—and a bewitched orchard—of its own. So in honor of me Snoopy-dancing over my Shimmer story, let’s take a look at some great fairy tale retellings that inspire me in my writing. Happily ever after not required. An update on Beauty and the Beast, this story is brutal and unrelenting—expect no tender Byronic beast here—but even after her craven family and the unforgiving monster rob her of everything she’s ever known, our heroine never gives up. That sense of perseverance imbues this gorgeously horrific tale with just enough glimmers of hope to get the reader through the darkness (and believe me, there is some serious darkness in this one). As part of the inaugural volume of Nightscript, “Tooth, Tongue, and Claw” is one of many beautiful strange stories, so check out the whole anthology. Just be sure to leave the lights on. Pick up a copy of “Tooth, Tongue, and Claw” here. Forget the mermaid soul dissolving into sea foam. This unflinching retelling of The Little Mermaid elevates our jilted heroine above the usual lovesick victim into a full-on revenge-oriented warrior. However, that description doesn’t come anywhere close to encapsulating the nuances of this story. Rendered in the kind of flawless prose only Sunny Moraine can write, “So Sharp That Blood Must Flow” explores broader themes of feminine agency and the refusal to bow to tradition. This isn’t Disney’s Little Mermaid—heck, it’s not the bleak Hans Christian Andersen original, either—and that’s exactly how it should be. Read “So Sharp That Blood Must Flow” for free here. Is it too meta to include another Shimmer story in this post about my Shimmer story? Maybe, but “The Fairy Godmother” from Shimmer #17 is too good to exclude. We all know about the proverbial Fairy Godmother who materializes and does right by a woebegone heroine, but what about the godmother herself? What’s the story of her life look like? 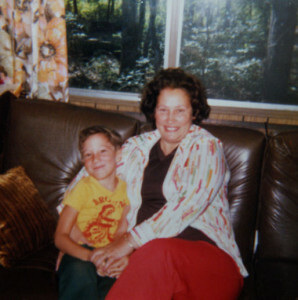 This sweet tale from Kim Neville answers just that question. This entire issue from Shimmer is an absolute beauty with other memorable stories from Silvia Moreno-Garcia, Kristi DeMeester, and A.C. Wise, among others, so it’s definitely worth a read. Pick up a copy of “The Fairy Godmother” here, or listen to the author read her story here. I went back and forth about including this one, not because it doesn’t deserve the honor (it’s one of my all-time favorite poems), but because I’ve already sang the praises of “Snow Waiting” many times in the past. Honestly, readers of my blog and Facebook page are probably tired of hearing me pontificate about this piece, but hey, you love what you love. And there’s so much to admire in this poem—the seamless character building, the rich language, the entirely new take on Snow White. It’s a beautiful and tragic retelling that uses the seemingly mundane aspects of adolescence and elevates them to archetypal. If you haven’t already taken my advice, then check out “Snow Waiting” today. In fact, even if you have read it once (or a dozen times), it’s worth another look. This poem is simply that good. Read “Snow Waiting” for free here. In some ways, this is the story that started it all for me. Until I was in college, I’d never come across any stories that so vastly re-imagined the world of fairy tales like this psychosexual ode to Red Riding Hood. Angela Carter was the scribe of countless fairy tale inversions, all of them fantastic in their own right, but “The Company of Wolves” will always remain my favorite. Also, don’t let the film of the same name fool you. The original story is the version you want. Nothing like a boldly dark and bloody retelling to get the heart rate up, and that is one strange order Angela Carter could always fill. Pick up a copy of “The Company of Wolves” here. This entry was posted in Book Promotion, Fiction on April 15, 2016 by gwendolynkiste. Another week, another great author to spotlight! Today, I’m proud to bring you K.B. Goddard. K.B. is a writer of fantastical fiction. Her focus is primarily on subtle supernatural tales in the vein of M.R. James and other Victorian scribes of ghost stories. Earlier this month, K.B. and I discussed her evolution and inspiration as a writer, as well as the forthcoming Shadows at the Door anthology, which will feature one of her incredible short tales of the macabre. I’m not sure when I finally decided. I know it was one of those ideas that floated around in my mind since I was a child. For years I thought I’d like to write something one day. Then I started studying creative writing at the Open University in the UK, so I suppose I must have been thinking about it on some level. It was during the second of the two writing modules I took that I started to seriously consider it. It still took me a couple more years and the rise of self publishing to give it a go. I enjoy Sir Arthur Conan Doyle especially the Sherlock Holmes stories, M.R. James and J. S. Le Fanu in terms of supernatural fiction. I went through a stage of reading a lot of Agatha Christie once. I do read modern authors too but I’m very bad at remembering the authors names! I do like Susan Hill and I’ve also enjoyed George R. R. Martin’s Game of Thrones series. You’ve described yourself as a big fan of the ghost story. What draws you to this subgenre of horror, and do you remember the first ghost story you ever read? It’s an interesting question, one I’m not sure I know the answer to. It might surprise people to know that I don’t particularly like to be terrified by horror and ghost stories. I also don’t like to be grossed out. For me the most appealing aspect of ghost fiction is the idea of the unknown, that we can’t explain everything, that there is still more to life than what we see. It’s the mystery of it that appeals to me. I’m not sure which was the very first story I read. I remember listening to a story on the Storyteller cassettes (yes I’m old enough to remember cassettes) that we had as kids called Captain Bones. That scared me. Of course it turned out not to be a real ghost. After that I’m not sure. I think it was when our school library was moving to a new purpose-built building that they sold off some old books. My sister came home with a copy of A Little Night Reading, which was a collection of ghost stories compiled by the Irish comedian Dave Allen of his favourite ghost stories. They were probably the first I actually read. That collection included “The Rose Garden” and “Oh, Whistle and I’ll Come to You, My Lad” by M. R. James. I also remember reading “The Masque of The Red Death” by Edgar Allan Poe at lunchtime in the school library, although it’s not strictly speaking a ghost story. What can you reveal about your story that will appear in the upcoming Shadows at the Door anthology? Well, it’s set in Victorian era Derbyshire during the summer tradition of wakes week and well dressing, and it involves a guilty conscience being disturbed by the sound of a penny whistle. Every writer sometimes comes to a point where it’s difficult to create. What rituals or tips do you utilize to work around those creative blocks? I’ll let you know when I figure it out! Probably “Reflections on a Malady.” It was my first Victorian ghost story and the one that started it all. What projects are you currently working on, and what else do you have slated for the next year? At the moment I’m between projects. I’m also still studying with the OU so that is taking up a lot of my time at the moment. But I’m hoping to start getting some planning done towards my next ghost story collection soon. There are a couple of other things hopefully on the horizon but I don’t want to jinx anything! Big thanks to K.B. Goddard for being part of this week’s author interview. 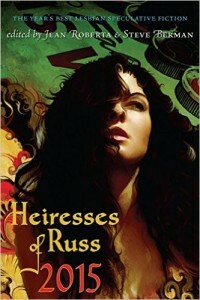 Find her at her author site as well as Twitter and Facebook! Any links you’d like to share? This entry was posted in Fiction, Interviews on April 13, 2016 by gwendolynkiste. “Through Earth and Sky” is completely different than all my other short fiction work. It is at once the most personal—and in a way, the least personal—story I’ve ever written. Why the dichotomy? Because this story wasn’t written about my own life. It was written, in part, about the life of my husband’s maternal grandmother, Daisy. Daisy was one heck of a woman. My husband still fondly recalls the Saturday afternoons he and Daisy spent together watching matinees of Godzilla movies and Hammer films. She was the person who fostered what would become my husband’s lifelong love for the horror genre, a love that led him to Pittsburgh for special effects training and ultimately helped him navigate his way through independent horror filmmaking, which is how he and I met. I often wonder if we would have ever found each other at all if it wasn’t for Daisy’s inspiration in his life. While “Through Earth and Sky” is obviously fantastical (meaning it is, at its core, a work of fiction), there are many similarities to what we know about Daisy’s life. Now granted, when it comes to her life, much of the information is in bits my husband has pieced together through the oral tradition of his family as well as what we could learn through genealogy records. For example, like the protagonist in my story, Daisy was raised in a religious orphanage where the women did their best to scrub away all remnants of her Sioux heritage. As adults, Daisy and her sister are said to have married young, and sometime later, her sister allegedly vanished, with Daisy insisting that her sister’s husband was to blame for the disappearance. Tragically, the word of a non-white woman in West Virginia in the 1950s was not taken seriously, thus little investigation was made into Daisy’s claims. To this day, as far as we know, her sister’s body has never been recovered. However, Daisy was a fighter, and she persevered, raising a strong family and never losing her sense of wonder in the world. Sadly, she died just one year before my husband and I met. This is one of the greatest losses of my life—never having the opportunity to meet someone who had such a huge influence over making my husband the man I love. So “Through Earth and Sky” is my way of honoring this incredible woman whose strength and giving heart still resonate through my life each and every day, even though I never earned the privilege of sharing even one conversation with her. Sometimes, as an artist, your work can seem like such a small token to offer in remembrance of someone. But at the very least, this story meant a lot to my husband. When he read it for the first time, he said that I captured her spirit perfectly, that “Through Earth and Sky” was one of the most profound gifts I could have ever given him. For a writer, no other amount of praise in the world can be greater than that. So this story is my offering to her, and I only hope it serves her memory well. So if you’re into magic realism with a melancholy dose of the macabre, please consider giving “Through Earth and Sky” a read. And while you’re at it, be sure to send a wink and a smile to Grandma Daisy. This entry was posted in Fiction on April 8, 2016 by gwendolynkiste. Welcome back to another author interview! This week, I’m thrilled to spotlight editor and writer Mark Nixon. Mark is the purveyor of the awesome Shadows at the Door website that features a variety of horror stories in both the classic and modern veins. I’ve been one of the fortunate authors to work with Mark on several occasions in the past, and the collaborations have always been incredible and rewarding experiences. Right now, Mark is in the throes of expanding Shadows at the Door to a full illustrated hardback anthology, which you can support over at Kickstarter. He took a quick detour from promotion to talk with me about the future of the site as well as his own burgeoning writing career. I actually only started writing a few years ago, I’ve learnt a great deal in that time and it’s been a really interesting and fun process to evolve and find my voice. I consider myself self taught, but feedback has always been the best teacher I could have asked for. My favorite authors include M.R. James, Stephen King, Susan Hill, Neil Gaiman and Washington Irving. Tell me about the genesis of Shadows at the Door. Why did you create the site, and what are your hopes for its long-term future? After I finished my first short story “An Unwelcome Guest,” I just wanted to share it with my friends so I created the website. Quite soon the story reached more people than I’d anticipated and the site become quite popular. After I finished another story, I decided it would be a great idea to maintain the site as an online library of new ghostly horror and I opened it up for submission, and it took off from there! Quite soon I realized I had something special on my hands and now I’m keen to expand Shadows at the Door into a full independent publisher. When selecting a story for the site, are there specific features you’re looking for, or is it simply a certain feeling you hope to experience by the end of reading a tale? My passion is the modern ghost story, or Pleasing Terrors as they are often called by fans of the genre, so I usually look for stories that fit that bill. Subtle, creeping stories with plenty of atmosphere and/or an emotional wallop, like your work! However if a different kind of story is good enough to catch my eye, I publish it. I recently published a story with no supernatural element at all but it was just too good to pass on. What inspired you to expand Shadows at the Door from an online-only venue to an anthology? I’ve been inspired by the positive reaction and loyal readership of the site, and as a life long bibliophile, it’s the natural way to go. There’s something quite special about owning a beautifully made book! You are also a writer yourself. Do you have any specific habits as an author (e.g. writing every day, only writing certain times of day, etc.) that help to keep you on track? I always dread this question! Like most writers, I work full time and then running the site takes up a lot of time too. I also recently married, so I’m still working all aspects of my life around schedules and maximizing it as best as possible. At the moment, I tend to write on evenings every other day for one to two hours, I’m my own worst critic too, so I have this terrible habit of backtracking and editing as I go, so my first draft is essentially my second draft before the big third edit. Out of your own published stories, do you have a personal favorite? I’m really proud of my story in the upcoming anthology “Quem Infra Nos,” but out of my existing published stories it’s “Silent Warnings.” I loved writing the protagonist and it’s one who has resonated with readers. There’s a bit of mystery that plays out nicely and it was the first story when I really felt confident exploring deeper levels of characters and motivations. Big thanks to Mark Nixon for being part of my author interview series! Find him at Shadows at the Door, and on Twitter. Also, please consider lending your support to the Shadows at the Door Kickstarter. Keep awesome horror fiction alive! This entry was posted in Fiction, Interviews on April 6, 2016 by gwendolynkiste.